This Vampire: The Masquerade - Bloodlines mod is an Asian-American replacement for female Toreador character. This Vampire: The Masquerade - Bloodlines mod is a texture pack for some furniture. Base pack has some furniture with a scuffed look, all of which can be replaced with an optional file. This Vampire: The Masquerade - Bloodlines mod is a complete replacer of almost all eye/eyeball textures in the game. This Vampire: The Masquerade - Bloodlines mod is an overhaul of the standard guns. It adds some effects, but mostly just increases damage and improves run and gun aspects. 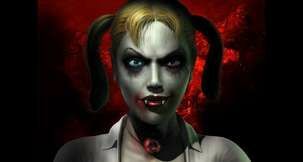 This Vampire: The Masquerade - Bloodlines mod disables the ranged combat stat and gives all the weapons a flat damage and accuracy base. This Vampire: The Masquerade - Bloodlines mod is simple retexture for Maximillian Strauss. The mod changes his glasses, lens, outfit and face. 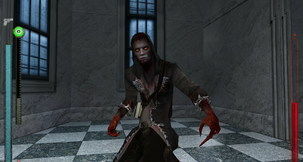 This mod is an unofficial patch for Vampire: The Masquerade - Bloodlines by Troika Games. It's a cumulative patch containing all the previous releases and works with retail and downloadable versions of any kind as the Troika Games official patch 1.2 is included. This Vampire: The Masquerade -- Bloodlines mod completely retextures Prince Lacroix. Bloodlines is an oft overlooked game. Though dated, it offers much to the player. I recommend playing it. There is room for improvement, however. And so we at GameWatcher bring you that certain something to improve this great game. Here we have a sound overhaul that replaces many of the low-fi sounds with high quality alternatives. 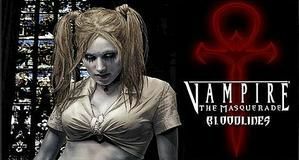 VtM - Bloodlines is an excellent game, but the visuals are a bit dated. There are not a lot of texture replacers out there to res-up the scenes, but one adventurous player of the game decided to see if an ENB designed for the source engine will work with Bloodlines. It does. Now you can take the game graphics to a new level. Take a look at the screenshots for the best description.